Eric Shander’s background is in accounting and finance. But like many CFOs today, he is minding more than just his company’s books. The turning point in Eric Shander’s career came in 2011. He was handed the keys to IBM’s troubled global technology services delivery division, the core of the computing giant’s outsourcing business. For the previous six years, Mr. Shander had been a finance and accounting vice president. Now he was responsible for more than 22,000 employees and 100 executives, all with more experience in the division. Some had been passed over for the job. When Mr. Shander left IBM to join open-source software firm Red Hat four years later, the mood—and financial performance—of his division had dramatically changed. “The team was doing a phenomenal job and was delighting our customers,” he recalls. The heroes of such corporate turnaround stories are typically inspirational CEOs with a gift for team-building and salesmanship. But Mr. Shander is now a CFO. Though he sports a CPA license and an MBA in finance—typical credentials for the job—you are just as likely to find Mr. Shander in customer meetings or operations reviews as in a back office. He is emblematic of a new generation of CFOs, upending old stereotypes to take a more active role in their organizations’ product innovation, sales and strategic direction. CFOs have traditionally served as accounting wizards with the discipline to manage expenses and stay abreast of regulations. But as organizations become more data-driven, these executives are taking on more strategic and operational roles. The CFO has become a nexus point for the business, with unique insight into all the money the organization brings in and sends out. “We have thousands of transactions every day, and it all comes together at the CFO level,” Mr. Shander says. Not all CFOs aspire to become business strategists, of course. But for those who do, the opportunity has never been greater. “When I talk to the analysts who follow our company, 90 percent of the conversations are around business, not financials,” Mr. Shander says. CFOs who can talk strategy as comfortably as book-to-bill ratios are now commanding leadership roles beyond the reach of their predecessors. Since joining Red Hat, which sells support and training services to users of its free enterprise software, in late 2015, Mr. Shander has been busy. Some major initiatives are part of the traditional CFO’s responsibilities. For example, he successfully shrunk the time required to close Red Hat’s quarterly books from five days to two. Other initiatives dovetail with more strategic goals. Mr. Shander overhauled the company’s budgeting process around a collaborative model that has prompted some department heads to voluntarily accept cuts to their own budgets in support of other groups. He currently leads a team of a dozen data scientists using analytics to make the company more efficient, responsive and customer-focused. Soon enough, Mr. Shander could be working with former colleagues at IBM. In October of last year, IBM, in an effort to grow its cloud-computing presence, announced it would purchase Red Hat for $34 billion—by far its most expensive acquisition. If the deal is finalized in 2019, Red Hat would become an independent operating unit of IBM. It would be Mr. Shander’s third tour of duty at Big Blue, a company he credits with having nurtured many of his nontraditional skills. IBM is sometimes criticized for its continuous personnel-shuffling—an industry joke is that the company’s three-letter acronym stands for “I’ve Been Moved.” But the point of shifting people’s roles is to create well-rounded executives. In his first 10 years at IBM (1994 to 2004), Mr. Shander held 10 jobs. In 2004, he was assigned to lead the financial team working on the divestiture of IBM’s PC business to Hong Kong-based Lenovo and to stay with the unit’s new owner. Going from rising star status at IBM to a subordinate position at the Chinese company was difficult at the time, but in retrospect the international experience was invaluable, he says. When he returned to IBM four years later, it was as vice president of finance and accounting. Moving to Red Hat, Mr. Shander found the perfect environment to develop his business-side interests while also immersing himself in the nuances of managing a publicly held company. Red Hat may only make a fraction of IBM’s revenue, but its importance to the computer industry far outweighs its size. Red Hat was—and is—a very different organization from IBM. The year Mr. Shander joined, CEO Jim Whitehurst published The Open Organization, advocating flat management structures, cross-discipline collaboration and employee empowerment. 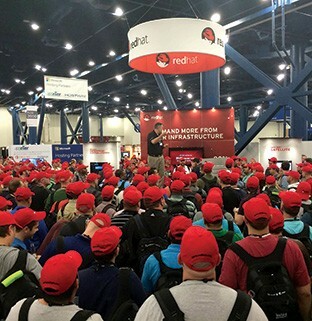 Red Hat’s culture is a meritocracy where job titles matter less than influence. For a budding CFO eager to spread his wings, the environment was perfect. Mr. Shander’s initial challenge at Red Hat was to ensure his leadership team was capable of reaching the strategic goals that lay ahead. He had to quickly assess which leaders could help transform the organization through more efficient, scaled processes—versus just continuing to hire new people as the company grew. “Making leadership changes is essential when your company is experiencing rapid growth, because the areas you need to focus on when you’re a $500 million company are very different than when you’re a multibillion-dollar company,” Mr. Shander says. His leadership team evaluation focused on three key elements: leaders’ capabilities, their willingness to drive and embrace change, and whether they created positive, negative or neutral energy. “We as leaders owe it to our teams to ensure we have the right people in place to help them and the company be successful,” Click To Tweet he says. From Mr. Shander’s start at Red Hat, shrinking the quarterly closing window was considered important to the company’s success. Some parts of an organization practically grind to a halt while the books are closed, which can delay sales. Mr. Shander set a goal of cutting the closing time to two days from five. “The first reaction was that I was crazy,” he says, laughing. Aware that asking people to work harder was not the answer, he set about examining processes. To nearly everyone’s surprise, the goal was reached in 2016 after just three quarters. Shorter closing times not only accelerated the pace of business but boosted morale for accounting employees as well. Red Hat’s somewhat unorthodox financial calendar has its third quarter closing Nov. 30. With the shorter closing time, accountants enjoyed their first Thanksgiving at home in years. Suddenly, the human resources department could see that the IT department was starved for resources and could use a hand in hiring. The effort saved more than $10 million its first year by reducing duplicate costs and inspiring department heads to voluntarily give up money they did not need. Much of the company’s budgeting is now done across functions. Since last year, Mr. Shander has been leading a campaign to streamline the number of computing systems the company uses, shifting some functions to the cloud, consolidating workloads on a smaller number of servers and moving data closer to the people who use it. His team’s five-year road map is expected to significantly streamline and simplify operations. But it is Mr. Shander’s key role in shaping how Red Hat uses data analytics that demonstrates just how strategic the CFO role has become. His team of data scientists is working on developing predictive indicators of what customers may need. The goal: “When salespeople go out in the field, they can tell customers something about their business they don’t know today,” he says. With a strong grounding in operations, an appetite for setting strategic direction and a knack for leading teams, Mr. Shander believes his definition of the role will soon become commonplace. CFOs must better understand how technology resources are being allocated considering the growth of digital transformation and the diffusion of operational systems into a host of cloud service providers—which in many cases departmental budgets pay for. They also need to be keenly aware of risk management and the growing threat of cybercrime. “The CFO can no longer say that cybersecurity is just the CIO’s problem,” he says. While not all CFOs would deem such traits mandatory, Mr. Shander believes people skills are essential to building a resilient and innovative organization. “I can tell you that when someone leaves a company, 9 out of 10 times it’s not the company they’re leaving but the manager,” he says. For all his operational and analytical accomplishments, Mr. Shander says he most wants his Red Hat legacy to be about leadership. “If people feel there was a connection that I created to the organization and that they were enriched as a professional, it would be hard for me not to smile,” he says. That is a formula for success you will not find in a spreadsheet. 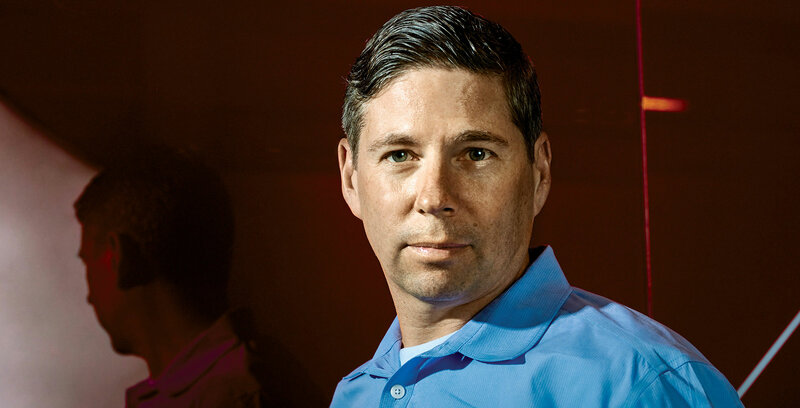 Red Hat’s Eric Shander is by no means confined to the back-office realm of old-guard CFOs. In fact, he plays a role in the sales process, frequently venturing into the field alongside salespeople to meet with other CFOs at current or prospective Red Hat clients. This article appeared in the Spring 2019 issue of Insigniam Quarterly, with the headline “More Than a Numbers Guy.” To begin receiving IQ, go here.